Though reading to the kids has always been one of my favorite things to do, it’s not always possible for those of us who travel for work, have a newborn, or just get too busy to drop everything to read a book for the fourth time in an hour. 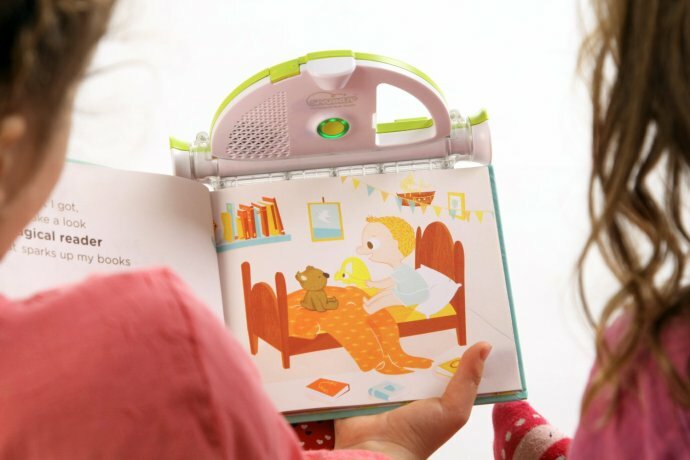 On those days, instead of letting story time fall by the wayside, families of book lovers can turn to the Sparkup e-reader for kids to do the reading for them. Sparkup uses a built-in camera to “read” any title that has either been recorded or preloaded to it. To record a new book with your own voice, just take your kid’s favorite picture book and follow the prompts to capture you reading the title, page-by-page, into the Sparkup device. 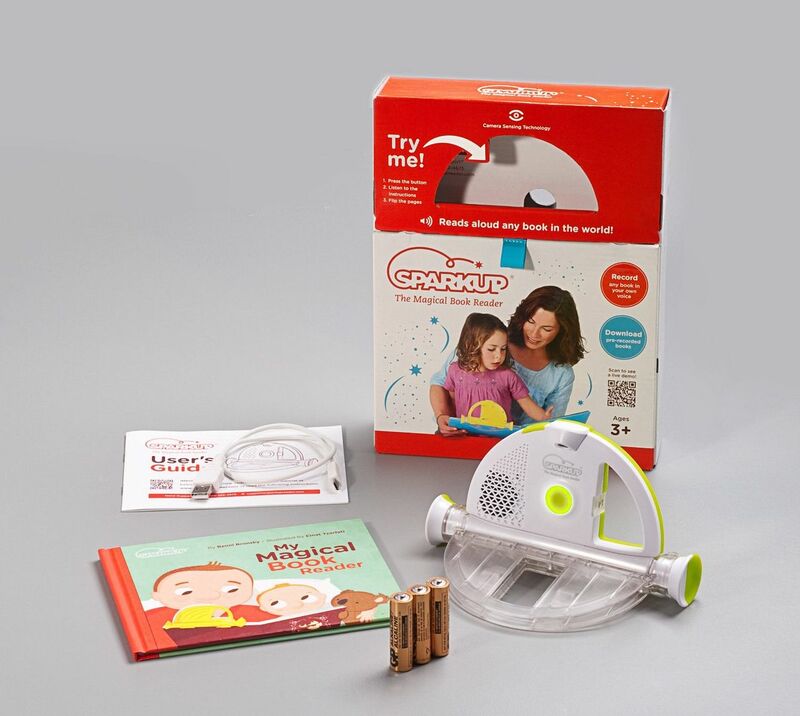 Then, when your child is alone with the book, they can use Sparkup to read the book back to them as they turn the pages. It took me a couple of tries to record my first book, mainly because my initial pick had very little illustration where the Sparkup camera was aimed and so different pages weren’t being recognized by the e-reader. But, after picking a picture book with more detail on each page, I was able to record my first audio masterpiece in just a few minutes. When you hand the book over to your child, it’s pretty neat how the camera “sees” the page as they turn. It will even skip ahead a few pages or return to the beginning midway if that’s what your child does with the book. A parent who is about to be deployed overseas or needs to take a lengthy business trip can use Sparkup to record their voice reading their kids’ favorite picture books to be listened to at any time. This would also make a great gift from far-away grandparents or maybe a non-custodial parent to give for the holidays, along with a bunch of picture books that have been recorded onto the Sparkup e-reader. Even more adorable? Let your beginning reader record their own voice onto the Sparkup and then they can read to you at storytime. The new Sparkup e-reader is available at our affiliate Amazon for $39.99. Or, for $59.99, you can order Sparkup directly from their website before December 15th and receive two picture books, Tikki Tikki Tembo and Shrek!, read by Marcia Gay Harden and Stanley Tucci already uploaded to the Sparkup e-reader.